After successfully debating Bill Nye, a celebrity scientist, Ken Ham built a $92 million theme park in Kentucky with a full-size replica of Noah’s Ark as a centerpiece to promote his belief in Biblical Creationism. People are flocking to the park, and its Biblical message of creation seems to be gaining popularity. This belief has not caught on in Judaism, but the reasons may surprise you. A Pew poll in February showed that 34 percent of Americans choose creationism over evolution, and another 25 percent believe in evolution guided by a supreme being (intelligent design). The poll went into detail, showing that 57 percent of Evangelical Christians believe in creationism, with another 25 percent believing in natural processes guided by a supreme being, leaving only 11 percent who believe in evolution. On the other hand, the Pew poll showed that 58 percent of Jews believed the world came about through natural processes, another 18 percent believed these processes were guided by a supreme being, and only 16 percent believed the world has always existed in its present form. It may seem paradoxical that the People of the Book, who received the Torah directly from God, would reject a belief based on a literal reading of the Bible. But although many see creationism as a choice of belief and Bible over science and data, Jews have worked hard to live successfully in both worlds. In its purest form, creationism understands the world as coming into existence, fully formed, in six calendar days of 24 hours each, with man created separately as the pinnacle of God’s work. It precludes evolutionary theory and theories about the origin of the universe, leading to a conflict on estimates of when the earth and the universe were created. Scientists generally agree the earth was formed 4.5 billion years ago. Most scientists claim the Big Bang that brought the universe into existence occurred approximately 14 billion years ago. Young Earth creationists believe both events occurred simultaneously between 6,000 and 10,000 years ago. 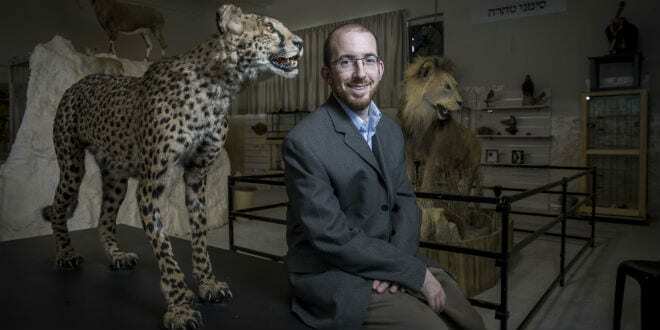 As director of the Biblical Museum of Natural History, Rabbi Natan Slifkin embodies the ideal of a Biblical scientist. He doesn’t see any contradictions between the worlds of Bible and science. 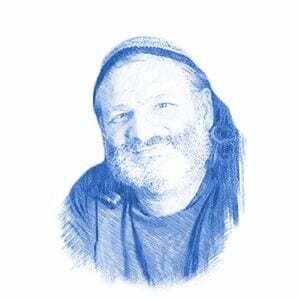 Judaism, he explains, has always been able to accommodate science and theology. He quoted the Rambam, a preeminent medieval Sephardic Jewish philosopher. The Rambam went on to explain that the Six Days represent a conceptual rather than historical account of creation. Rabbi Slifkin cited Rabbi Dovid Tzvi Hoffman (1843-1921), a member of Agudath Israel’s Council of Torah Sages, who suggested that the Six Days of Creation were lengthy eras rather than 24-hour periods. Evolution, the impetus for Ken Ham’s massive Biblical theme park, simply does not seem to be such a big deal for Jewish Biblical scholars. Torah Judaism also differs from Bible-based Christian creationism on the point of the nature of man. Creationism holds that man is distinct from animals, owing to the separate description of his being “formed”. It is partly for this reason that creationists reject evolutionary theory. Genesis describes man’s creation twice, and Rabbi Slifkin emphasized the version in the first chapter of Genesis. 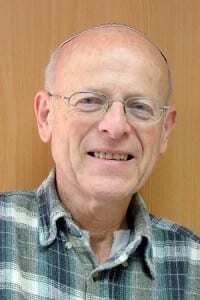 Professor Natan Aviezer of Bar Ilan University, a physicist and religious Jew, deals with this issue in his book Modern Science and Ancient Faith. He quotes Charles Darwin’s parting words in his manifesto on evolution, On the Origin of Species. Aviezer also cites Samson Raphael Hirsch, an influential German rabbi and contemporary of Darwin, bringing a Rabbinic concept of Olam Ke’Minhago Noheg (the universe goes its accustomed way). God did not simply create the world and step back. Aviezer explains that God works within nature.